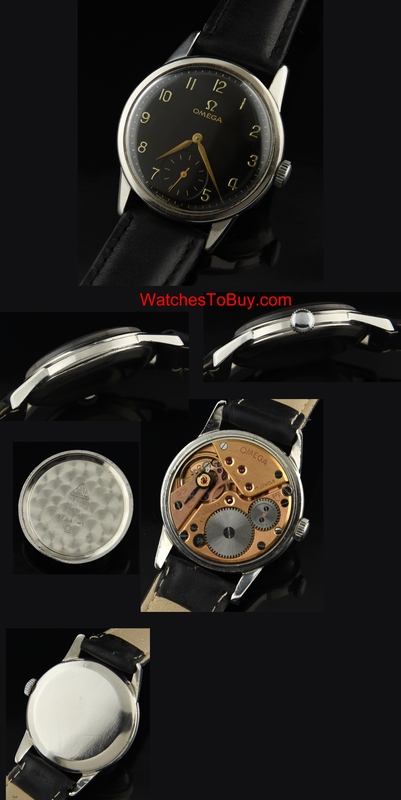 This is a very fine looking 34mm.manual winding cleaned and accurate caliber 268 OMEGA vintage watch dating to 1960. 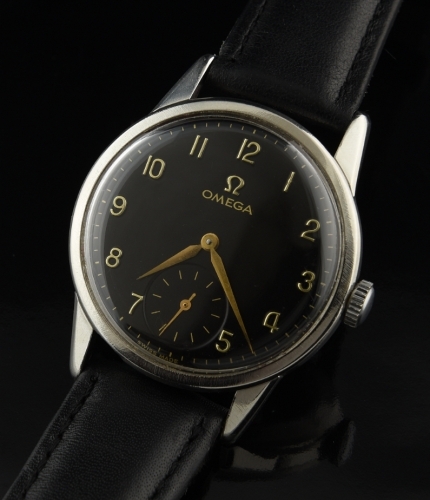 The black dial was expertly restored and retains the original raised numerals and OMEGA emblem. The matching Dauphine hands are original to the watch. Sleek, clean, classic and simple describes this OMEGA.